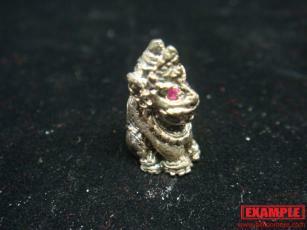 Present: There is authentication code and number at the bottom of amulet. Ceremony: There were holy blessing series for 7 times by LP Somchai from 2013-2014 C.E. The last blessing took place on 19 April 2014, the auspicious day called “Sao Ha”. 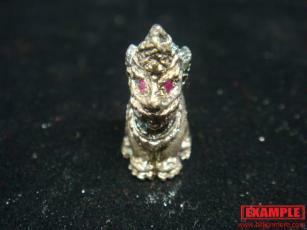 Power: These tiger amulets by LP Somchai are powerful on protection, charm and good luck. LP Somchai is a current abbot of Wat Pariwas in Bangkok. He has magical competence. 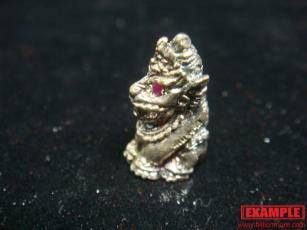 His amulets are sacred and well-known among Thai amulet collectors. 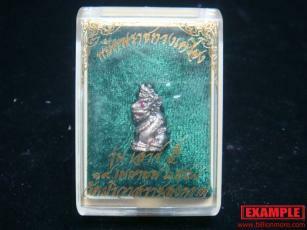 This collection, Wat Pariwas gathers amulets by LP Somchai in different years. 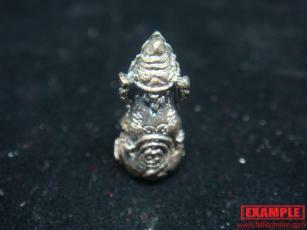 So, do not miss the opportunity to worship powerful amulets from skilled guru. LP Somchai was born on 17 Jan. 2496 B.E. (1953 C.E.) in Bangkok. 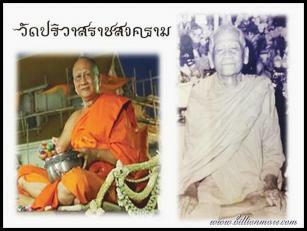 LP Somchai got ordained at Wat Pariwas, Bangkok on 18 Jan. 2513 B.E. (1970 C.E.) at age 17. In fact, LP Somchai has been interested in magic since he was a teenager. He traveled to learn mantra from many senior guru monks. When he was already a monk, he continued studying mantra. Later, LP Somchai studied the magic book which LP Wong, former abbot of Wat Pariwas left after he passed away. LP Somchai released his first version of amulets in 2526 B.E. (1983 C.E.) and his amulets became famous. His success is a unique tiger amulet.